The eighth Film Southasia 2011, that kicked off on Thursday, 29th Sept, rounded off the four-day documentary film festival in the capital on Sunday with the screening of “Made in India”, “Pink Saris” and “Aadesh Baba”, followed by an award ceremony. The four-day event was commenced with the premiere of Journey To Yarsa. A film by Dipendra Bhandari, it tells the story of a family from Rukum joining the harsh expedition to collect yarsagumba in the high Himalayas. There were 36 outstanding non-fiction films, selected from nearly 400 entries received from all over Southasia. The chosen footages were from Afghanistan, Burma, India, Bangladesh, Pakistan, Nepal and the Tibet Autonomous Region. Out of them, Anand Patwardhan’s “Jai Bhim Comrade” bagged the Ram Bahadur Trophy for Best Film along with a cash prize of USD 2000. The film took 14 years to make and explores the history of Dalit activism in Maharashtra in the aftermath of the killing of 10 Dalit activists in Mumbai in 1997 and its length was three hours and 20 minutes. Documentaries on political issues have always been Patwardhan’s choice and he was present to receive the trophy, which was given away by the festival chief guest and eminent Bangladeshi filmmaker Catherine Masud. The jury praised the depth of Patwardhan’s personal involvement in the film. “The Truth That Wasn’t There”, directed by Guy Guneratne, deals with the tale of three student journalists who cross into the north of Sri Lanka in the aftermath of the war in 2009, was announced the winner of the Second Best Film award. Dipendra Bhandari for his “Journey to Yarsa” bagged The Tareque Masud Debut Film Award. Full of praises for the film’s determination to bring a story of little known subject to the world, the jury appreciated the effort of the filmmaker in bringing forth a powerful tale of people’s endeavours and relationships in a remote community. A documentary from Burma, “Nargis: When Time Stopped Breathing”, that records the tragedy of the Cyclone Nargis which killed 140,000 people in the Irrawaddy Delta in May 2008, was recognized for a Special Mention. It was made by two Burmese directors who prefer not to be known by their real names. The Jury of the FSA ’11 festival was composed of Satish Sharma, photographer, curator and critic; Manesh Shrestha, educator, journalist and former director of Film Southasia, and Igor Blazevic, the founder of the One World Film Festival with its base in Prague. 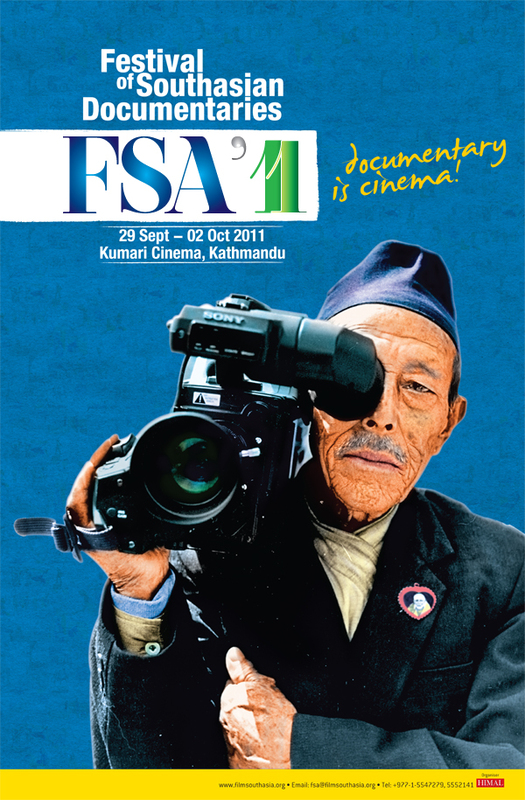 The 15 films selected from the 36 shown at FSA ’11 will tour the Subcontinent and the world as “Travelling Film Southasia” over the next two years. The next Film Southasia festival is scheduled for September 2013.